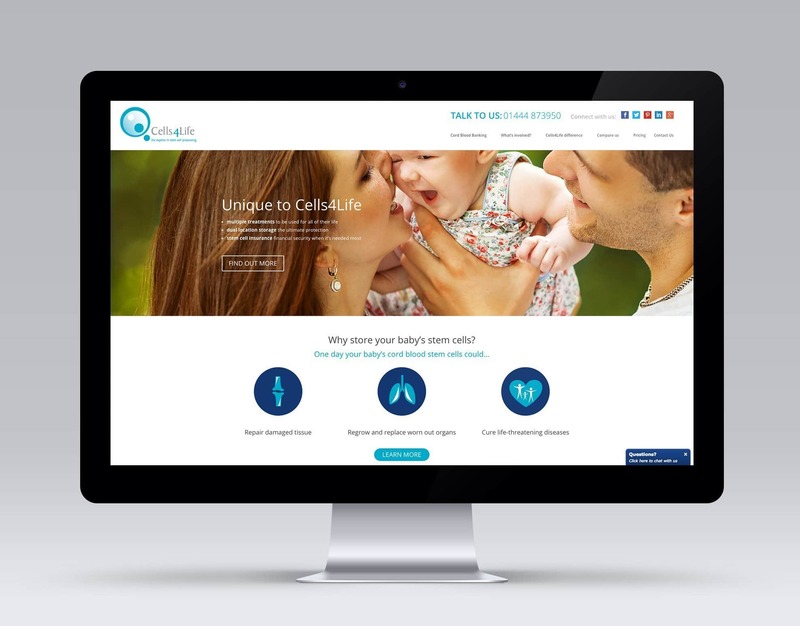 We were approached by Cells4Life based in Burgess Hill, the UK’s leading cord blood bank to design and develop a new website, to give them a professional and modern online presence which would enable them to market their services more effectively. We came up with a clean new design, incorporating lots of bold, eye catching imagery and graphical elements to really make it stand out. The old site had a large number of existing blog posts and news items that all had to be migrated to the new site and we managed this efficiently to ensure all their content was present on the new site. As in all our projects, the final website is fully responsive and linked up with all their social media accounts. Would you like to discuss your next project?